Do you work for Acuvent? 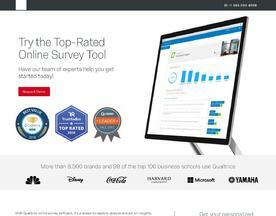 With Qualtrics online survey software, it's a breeze to capture, analyze and act on insights. Our popular online survey features make it easy for you to easily build beautiful, complex surveys, distribute and analyze data all within the platform.